Author Lori Nelson Spielman is a very dear in-real-life friend of mine. And believe it or not, we met because of this blog! Since then we’ve found that we have even more in common than writing and publishing (and that’s special in its own right). Lucky us! BUT, if I didn’t also think her debut novel, THE LIFE LIST was awesome, I wouldn’t say so. I read an early copy of the book, handed to me by Lori herself the second we met at the beach in Michigan (first time, perfect weather—second time, snow in April). Right away, I was mesmerized by Lori’s writing, and the story itself. It takes the main character through twists and turns of a very real and unexpected life. The best kind, if you ask me. While it starts off seeming like the main character is about to lead a charmed life (and then there wouldn’t be a novel, would there?) the exact opposite is true. There are very heady issues in this book. Real problems for the characters, real emotions. Much is not what it seems. And I loved that about the book. I enjoy the twists that go my way and the ones that don’t. And I love an ending that leaves me hopeful. And I’m hopeful that you’ll enjoy THE LIFE LIST as much as I did. 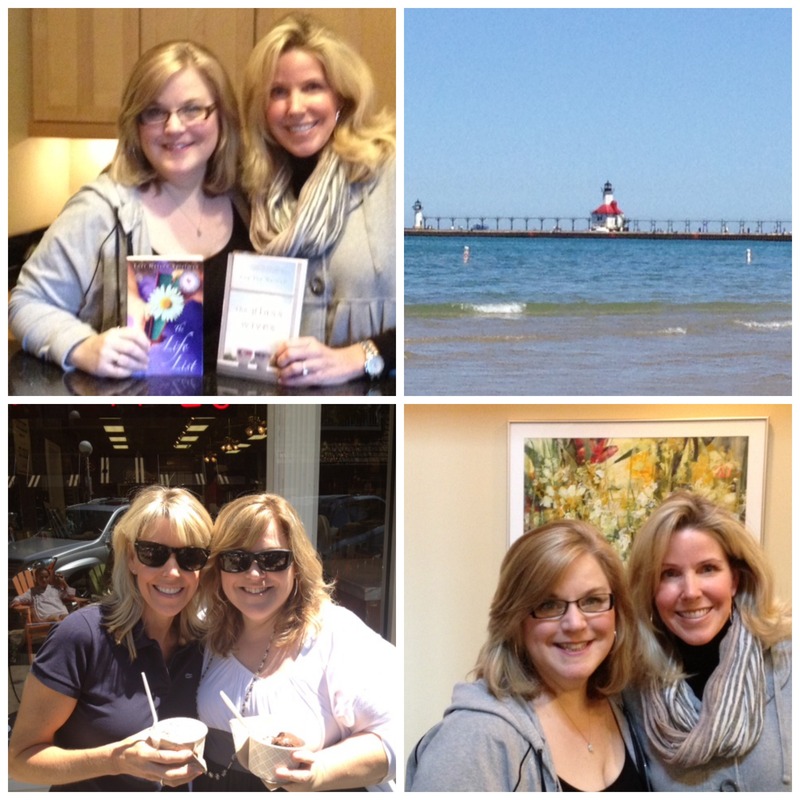 Please welcome my dear friend, Lori Nelson Spielman, to Women’s Fiction Writers! Would you give us a quick overview of your debut novel, THE LIFE LIST? Lori: First of all, thank you so much for hosting me on your blog, Amy. I’m a huge fan of Women’s Fiction Writers, and a huge fan of yours as well. Okay, now on to the question. The Life List tells the story of a young woman who embarks on a year-long journey of self-discovery after her mother passes away and leaves her an inheritance with one big stipulation — in order to receive it she must complete the items on the “life list” of goals she made for herself when she was 14. Lori: I know exactly what you mean, Amy! I think it boils down to confidence, or more accurately, Brett’s loss of confidence. As girls, we’re fearless. We imagine we can do anything, become anything, and most certainly deserve every good thing life has to offer. Somewhere along the road, many of us lose this youthful confidence. We begin to wonder whether we’re good enough, or smart enough, or pretty enough to reach those lofty childhood dreams. Too often we settle for less than we deserve, whether it’s in our careers, our relationships, or our dreams. In short, Brett’s failure to believe in her own worth kept her from realizing her dreams, the same way it does for many of us women. Amy: I’m sure you’ve been asked this a million times. Well, make it a million and one. Do you have a Life List for the future now? I’m more of a day-at-a-time gal, and really don’t, but I certainly see the value in it. Lori: I’m glad you used the term life list, Amy. People often refer to my book as being about someone’s bucket list, but I think there’s a real distinction between the two terms. To me, a life list as a blueprint of how you want to craft your life—things you determine are important on your way up, so to speak. Have a close family. Live on a lake. Have a fulfilling career. A bucket list, on the other hand, are those things you aspire to do on your way down, before you die, things that can be checked off in an instant. Skydive. Visit the Grand Canyon. Tour Machu Picchu. So, to answer your question, I do have a life list, though today it’s shorter and more specific—more like a bucket list. Does this mean I’m on my way down?! Yikes! Amy: Oh! I love the distinction between a life list and a bucket list. I am always drawing lines between similar words and terms and picking them apart. This time you did it for me! (I can always count on you!) So, now onto some writing talk. When you’re writing do you outline, or just wing it (some would call that pantsing, or writing by the seat of your pants)? Lori: I’m pantser with suspenders. I don’t just wing it, but I don’t have a detailed outline, either. When I get an idea for a story, I let it incubate for a few days. It usually bends and twists into something different than what I’d first imagined. I watch the story unfold visually, much like a film. I envision many of the scenes and I know the ending, but I don’t necessarily write a detailed outline. Instead, I write madly and badly—yes, I allow myself to write a horrible first draft. In places where I need to do research, I simply make two X’s and continue, knowing I’ll go back to it later and fill in those gaps. Lucky for me, I enjoy the rewriting stage, which is where the bulk of the work occurs. Amy: I know you’re working on something new—you don’t have to share any details, but how is it coming along? Is the process different this time than when you wrote THE LIFE LIST? Lori: Yes, you and I have talked about this. It feels completely different this time, knowing my agent and my editor will read it. They’re looking for a book very similar in tone to The Life List, and I feel an enormous amount of pressure, hoping to please them. I do have a story idea that we’re all excited about, and once life settles down a bit, I’m anxious to get started on it. Amy: How would you define women’s fiction, and does the label bother you? Lori: I define women’s fiction as stories that are written primarily for women. Perhaps the label should offend me, but it doesn’t. With The Life List, there’s no question my target audience is women. I’m happy to own that. I do, however, have a problem when other authors get slapped with the label simply because they are female, despite their novel’s cross-gender appeal. Your question made me think of this story. My friend’s son, an avid hiker, read Cheryl Strayed’s Wild. He found it “too emo”. Apparently, the parts of the book my girlfriend and I found most compelling—the emotional scenes—were the very ones he disliked. There’s no doubt we women share our feelings more than men, something a study at Stanford found creates more serotonin, resulting in a general feeling of well-being. The researcher went on to say spending time with girlfriends is just as important as going to the gym. So, to extrapolate a bit, I’ll hypothesize that reading women’s fiction just might add years to your life. How’s that for an endorsement? A former speech pathologist and guidance counselor, Lori Nelson Spielman currently works as a homebound teacher for inner-city students. Her debut novel, THE LIFE LIST, has sold in 16 countries and Fox 2000 has purchased the film option. Lori and her husband live in Michigan. Love this, ladies! And I didn’t know that you two were friends in real life– how wonderful! Lori, can’t wait to check out THE LIFE LIST! Thank you, Brenda. I loved your post yesterday. 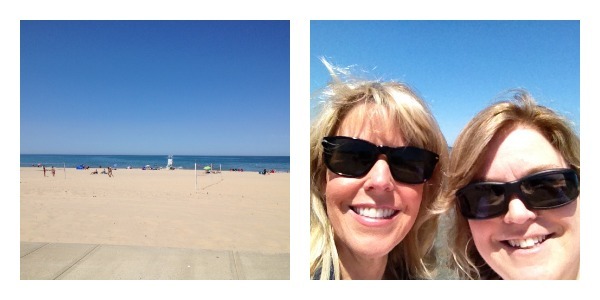 Yes, Amy and I have become great real-life friends, thanks in part to her wonderful blog (and charming personality!). Love the “pantser with suspenders” description. Hits home. Thanks so much, Kerry Ann. We’re all guilty of detouring from our dreams now and then, so you’re not alone. I do hope you get back to your writing, and everything else you once desired. Thanks for taking the time to share your thoughts. Lori, I remember seeing the notice about this when the notice came out in Publisher’s Marketplace so many months ago — you know how they can all blur together, right? — but I recall thinking, now THAT is a great idea for a novel, and I haven’t forgotten it since. Congrats on the release and so glad you stopped by WFW today to speak to us! I look forward to reading your book, and congrats on all the rights sales! What a nice thing to say, Kathryn. I can’t believe you remembered from all those months ago. I hope you enjoy the read. Many thanks! Thank you, Wendy. Amy does such great interviews. I think her secret is that she loves what she does…and it shows! 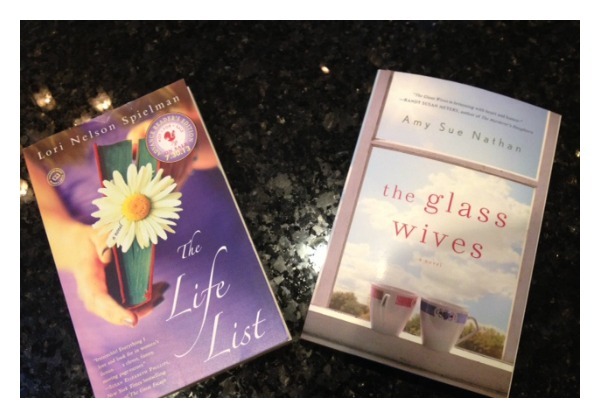 The Life List is in my TBR pile. After reading this interview,I can’t wait to start reading it. Thank you, Michelle! That’s music to my ears! I hope you enjoy it! Lori, I read the post and thought, I have to read that book, and then happened across an advanced reader’s copy just a few minutes later in the library where I work! Karma! Can’t wait to read it. I love those karmic moments! I do hope you enjoy! Happy 4th! Thanks, Sara. I’m taking liberty with the terms, since I’m not sure there’s a real distinction, but that’s my definition and I’m sticking to it! You’re right, the word “life” gives it much more hope. P.S. I love that Amy and I are IRL friends, too! Love the concept of the book — and thought it sounded wonderful from the start. It made me think about the “where I envision myself in 2010” letter I found in my old trunk last year. It was something we were asked to write when we were in 8th grade. HIL.AR.I.OUS! Not quite a life list, but a little girl’s boy-crazy dreams. I LOVE the designation “pantser with suspenders”! Hi Melissa! Thanks so much for stopping by and leaving a comment. What a great assignment, and so cool that you kept it over the years. Since I was pretty much a non-entity with the male species, my life list had its share of boy-crazy dreams, too. Thank God they didn’t come to fruition until much, much later in life! Thank you, Catherine. Nice of you to chime in. Good luck to you. I’m dealing another hand from another deck, a new one, thanks to Lori. My list just shifted. So glad I stopped by today. It certainly will be a day I will always remember. Best of success. Oh, wow, Carolynn, what a coincidence. One final push might be hiring a professional editor. They’re expensive, but sometimes a good investment. But…if you think it’s time to walk away, that’s a huge moment, one that almost every author has experienced. Keep these first novels handy though. Once your future novel is a huge success, maybe you can revamp the earlier ones! Wishing you the very, very best. I’m fairly new to this blog and am thoroughly enjoying the interviews with the authors. As soon as I finish this comment, I plan to hit amazon and buy The Life List. I loved the way you distinguished between a life list and a bucket list. a life list isn’t something you “check items off” it is a way of living. And you just crystallized it in 15 words, Jerilyn! I’m going to memorize and use that sentence! So glad you found Amy’s blog. You’re going to enjoy it, I promise. It’s the best of the best. And speaking of enjoy…I hope you enjoy The Life List, too. Thanks so much!